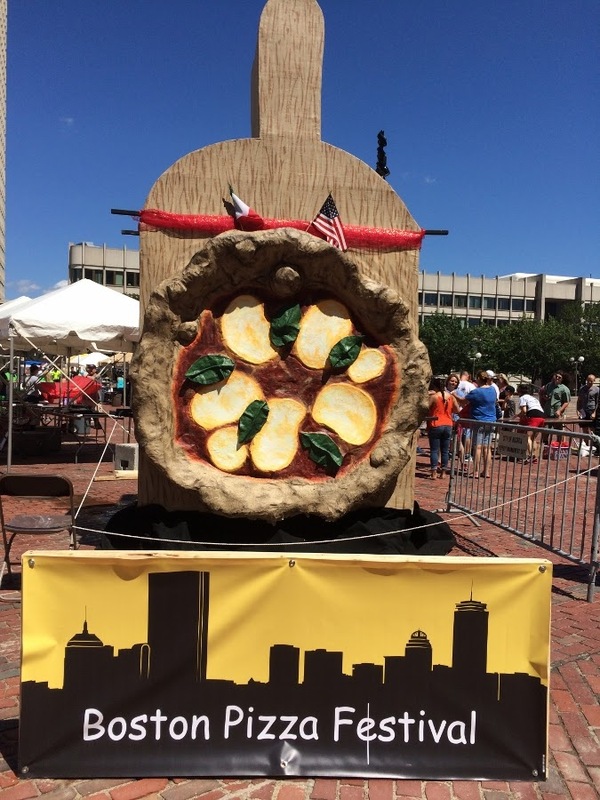 This past weekend I attended the First Annual Boston Pizza Festival at Boston's City Hall Plaza. 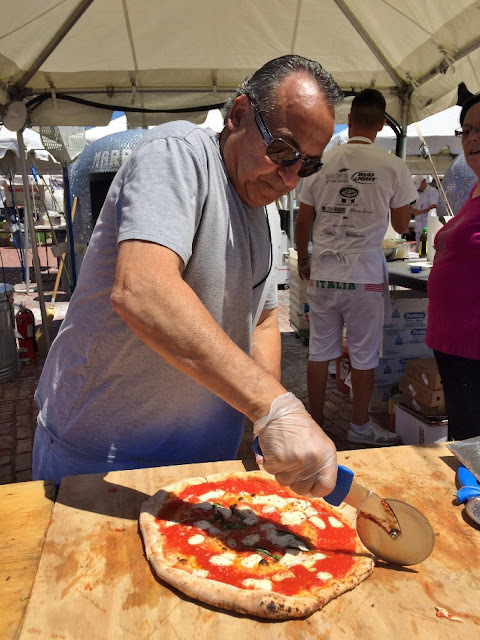 This two-day event featured nearly two dozen pizza vendors, including a couple from Naples, Italy, the birthplace of Neapolitan-style pizza. 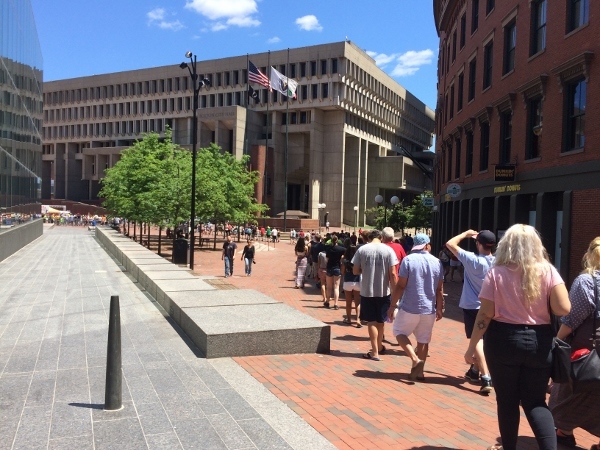 I'll be honest, I was a little nervous heading up to Boston on Sunday because I had read a lot of negative feedback on social media from festival attendees who were there on Saturday and complained of insanely lone lines to get into the event, and excessive crowding once inside. 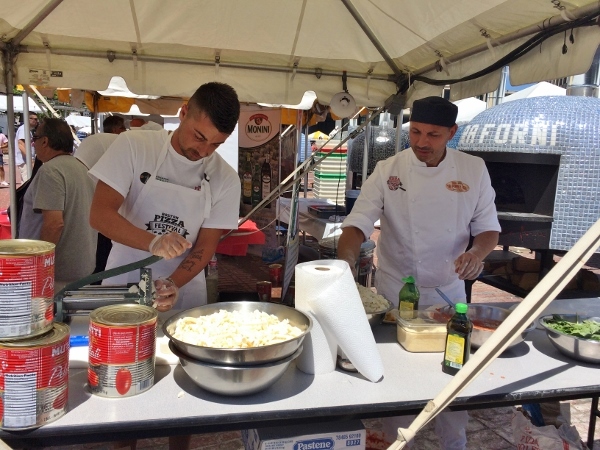 Although the festival lasted two days, tickets were sold as general admission for $15 and VIP for $50, but once a ticket is purchased the ticket holder could attend on either of the two days. First of all, I think that is a terrible idea. It doesn't allow festival management to know exactly how many people will be attending either way. They also did not cut off ticket sales due to whatever the capacity would be for this location. VIP access allowed entry at 11 am as opposed to noon, which is when general admission begins, but this is not crystal clear on the Festival's website, which simply states the time as July 8-9, 11 am to 10 pm. There were people with general admission tickets who showed up at 11 am instead of noon. We had purchased VIP tickets and arrived early to wait in a relatively short line to get inside. Believe it or not, the line for people with bags who had to wait for bag check moved faster than the line for people without bags, and I got in with my bag before my friends did in the no-bag line. As a VIP, we not only got to enter the festival an hour earlier, but unlike general admission, this first hour allowed us unlimited free samples of pizzas. 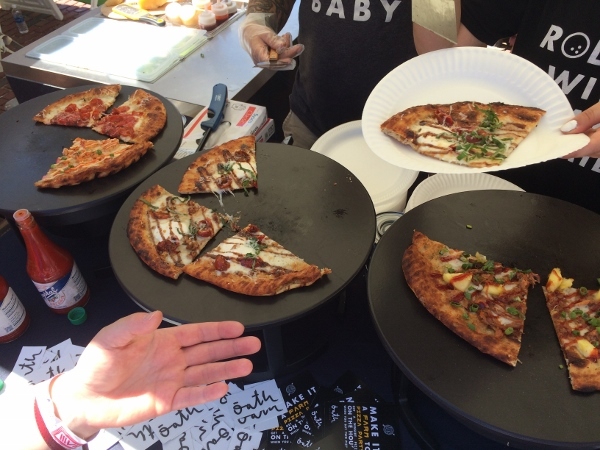 When I say samples, in most cases these were large, full-size slices of pizza, and at one location they were dishing out entire individual size pies. We also got a goodie bag, and got to really enjoy that hour without any crowding or waiting in lines for pizza. 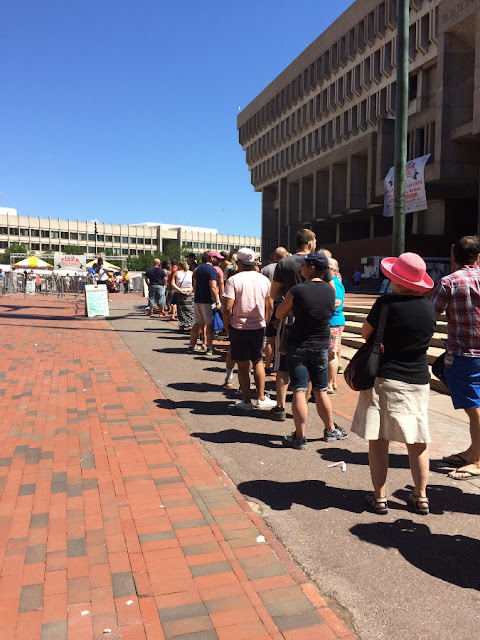 As soon as the general admission doors opened at noon, the difference in crowding was palpable, and as we exited the festival shortly after we saw an insanely long line wrapping around the block. 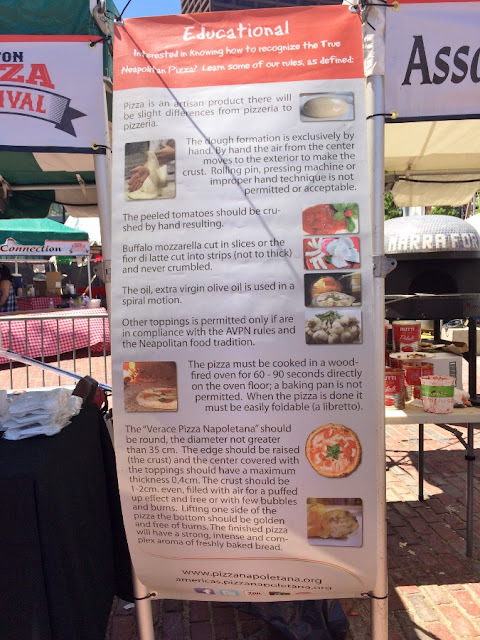 This was a case where our experience was fantastic, not crowded at all, with unlimited free samples, and many of the general admission folks would understandably be unhappy regarding the extensive wait, and pay-per-slice mantra once inside. I would happily come back next year to the Boston Pizza Festival, but only with a VIP ticket. I hope the festival founders have learned some useful lessons from this year's experience, because there were a lot of very unhappy folks who did not get to enjoy the festival as much as we did. 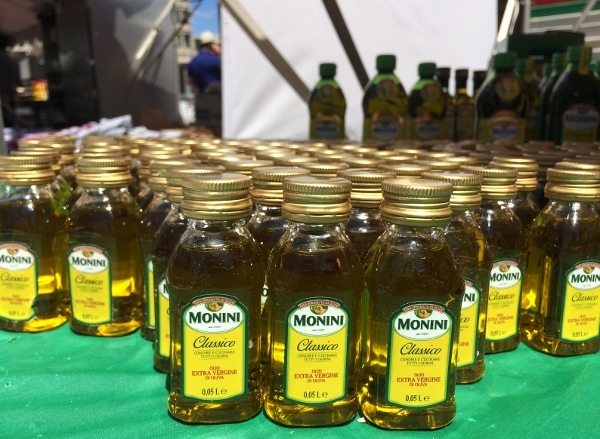 A larger space to hold the event would be paramount if anticipating thousands of visitors. A more robust security process with even more folks checking bags and scanning tickets would allow for faster processing into the event space. 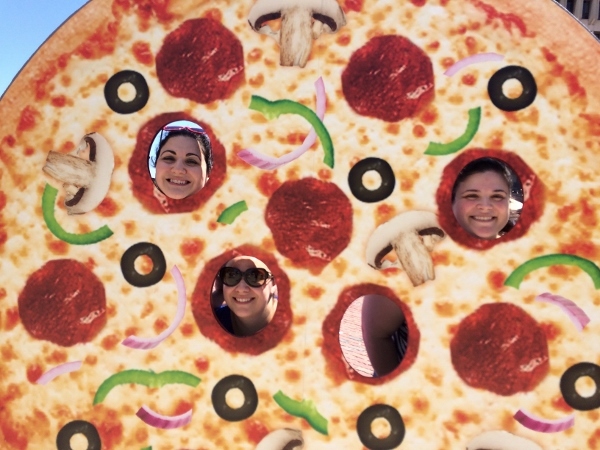 My lifelong dream to be a pepperoni has finally been realized! 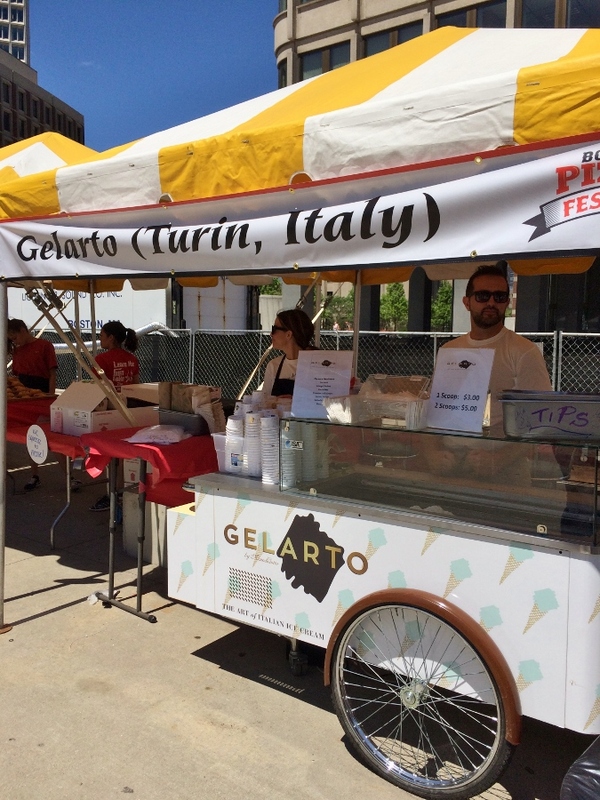 With that said, we really did have an awesome time at the festival! There were lots of amazing slices to try, while a few others were a bit meager in comparison. 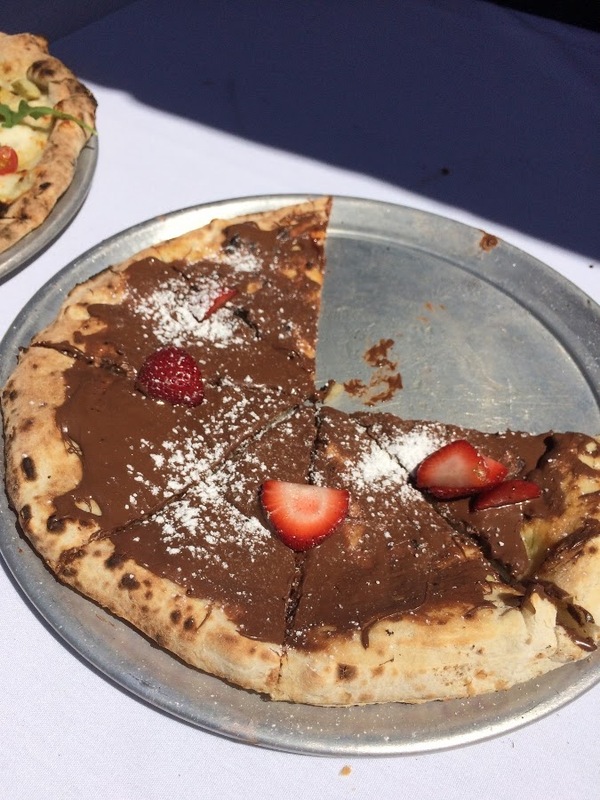 Not having to pay per slice was great because it's impossible to know which are worth tasting, and to shell out money for a mediocre offering would have been disappointing. With that said most slices were around $2, but others cost more depending on the toppings and such. 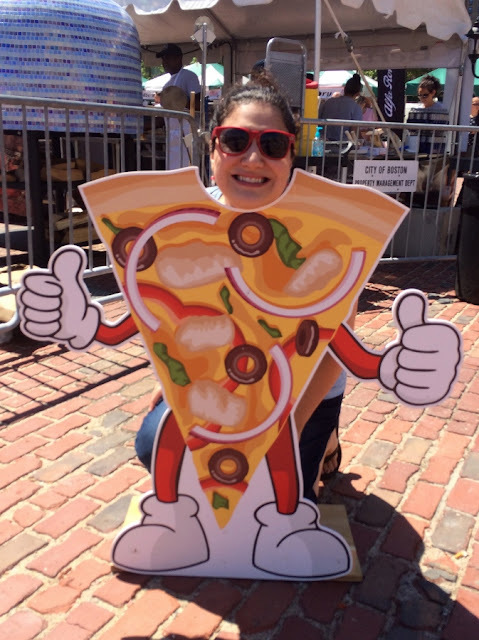 I would guess that during the VIP hour we each sampled an average of at least 15 slices (don't judge!). 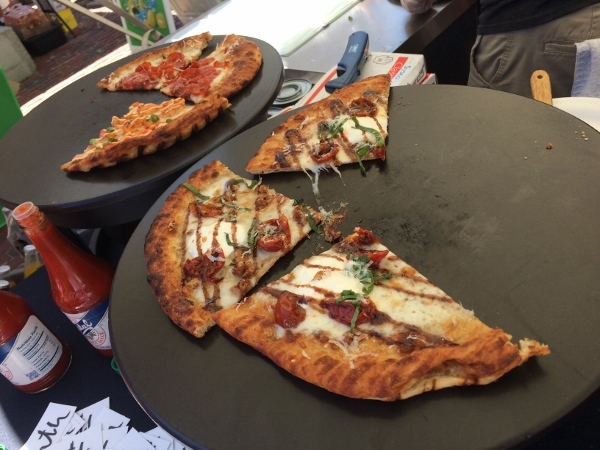 At a minimum of $2 each (many of these were priced higher at general admission), that would be a minimum of $30-ish for pizza tastings on top of the $15 general admission ticket. That already brings you to $45. The VIP ticket was $50. 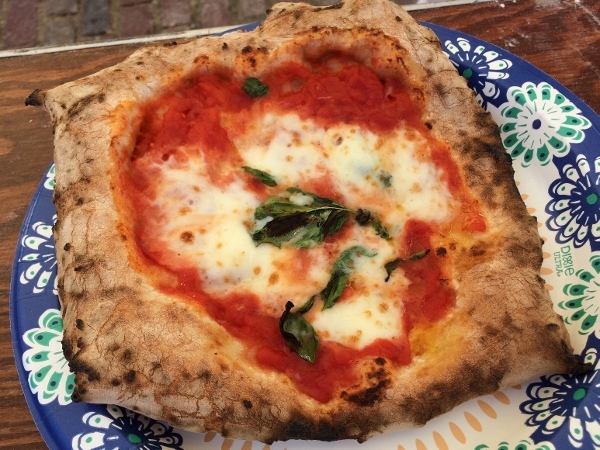 Having a less crowded atmosphere, and the freedom to truly eat as much pizza as we would like (plus don't forget the goodie bag) was absolutely worth it to us. Some of our favorite pizzas from the festival were understandably from the two vendors from Naples. 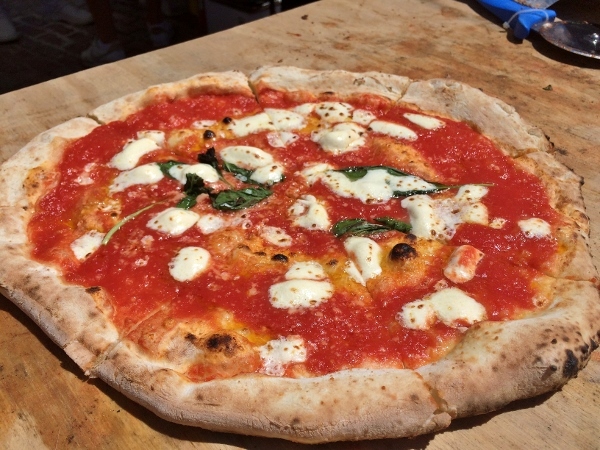 Da Peppe e Figli was our favorite of the two, but we also enjoyed Associazione Vera Pizza Napoletana, which offered up individual pies! 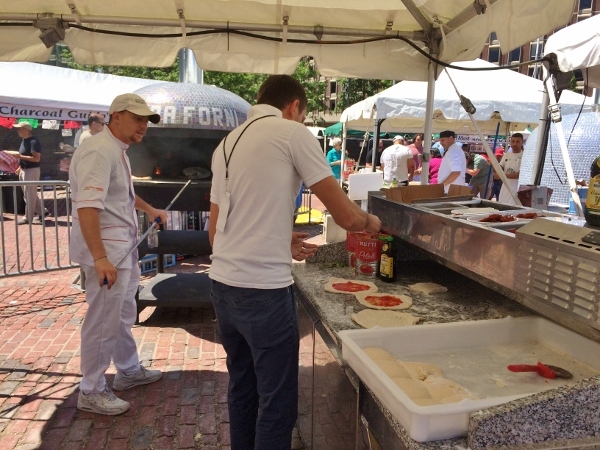 My favorite creative pizzas were from Oath Craft Pizza. 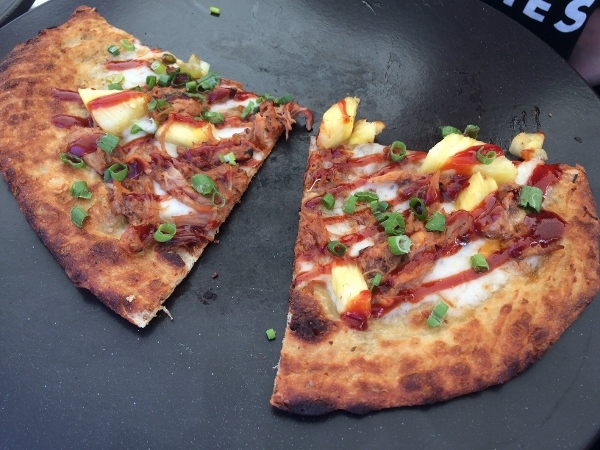 I tried three different slices from them including the Bella featuring mozzarella, roasted cherry tomato, roasted garlic, ricotta, balsamic drizzle, Parmigiana, and fresh basil, the Spicy Mother Clucker featuring mozzarella, pickled red onion, spiced chicken, sriracha, secret sauce, and scallion, and the Luau featuring mozzarella, BBQ pulled pork, fresh pineapple, crushed red pepper, BBQ drizzle, and scallion. I loved them all! 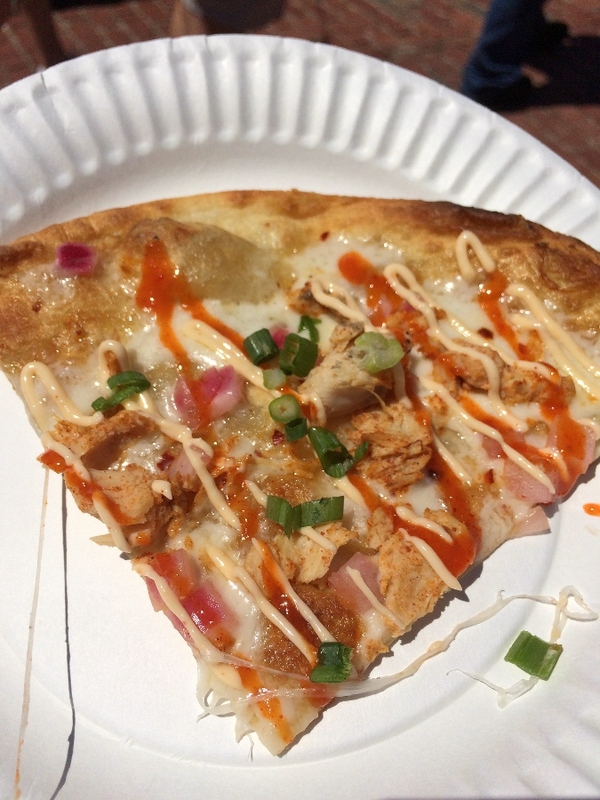 The texture of the crust was fantastic, and the toppings were perfection. Another pizza we loved was from Wicked Cheesy in Tewksbury, MA. Their Got Whitey! 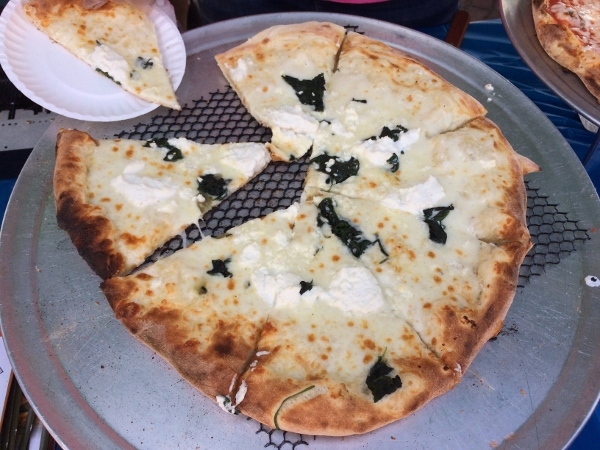 pizza with mozzarella, provolone, feta, romano, fresh garlic, ricotta cheese, and spinach was excellent! 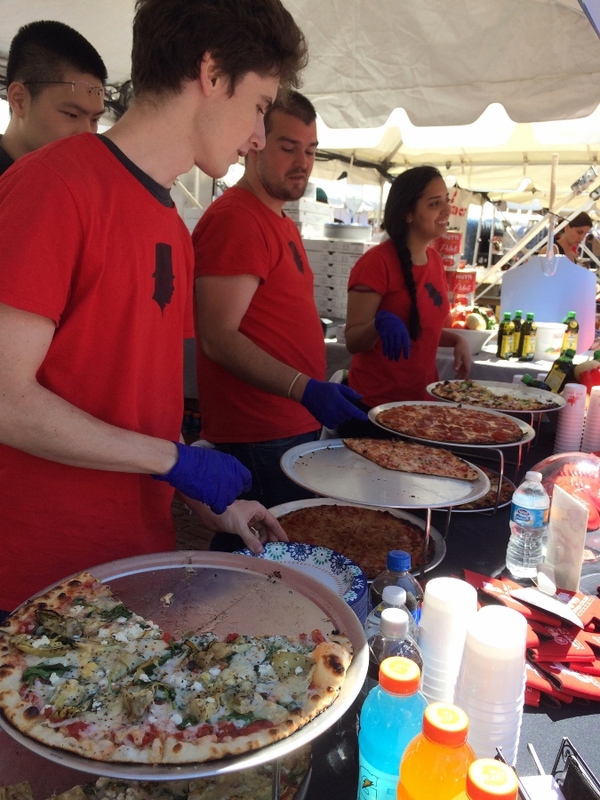 There were other non-pizza food and drink vendors at the event as well. 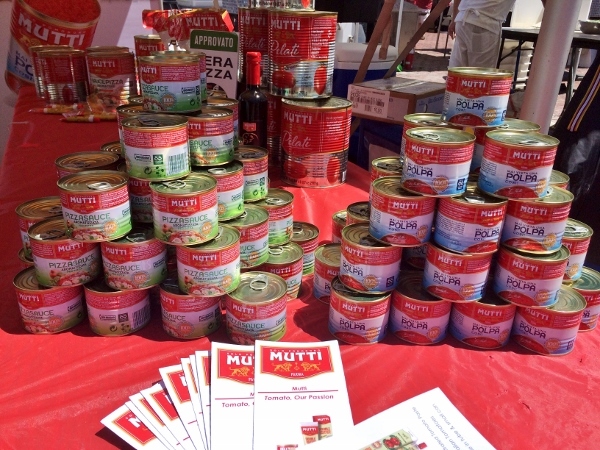 We got some awesome extra-virgin olive oil, tomato sauce, and pizza sauce samples from Monini and Mutti. 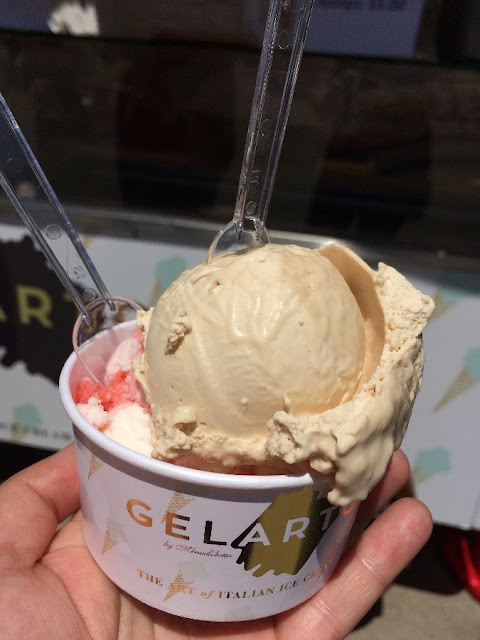 We also enjoyed gelato from Gelarto in Turin, Italy. $5 for two scoops was totally worth it for their strawberries and cream, and hazelnut flavors, although I'm sure any of their offerings were delicious. 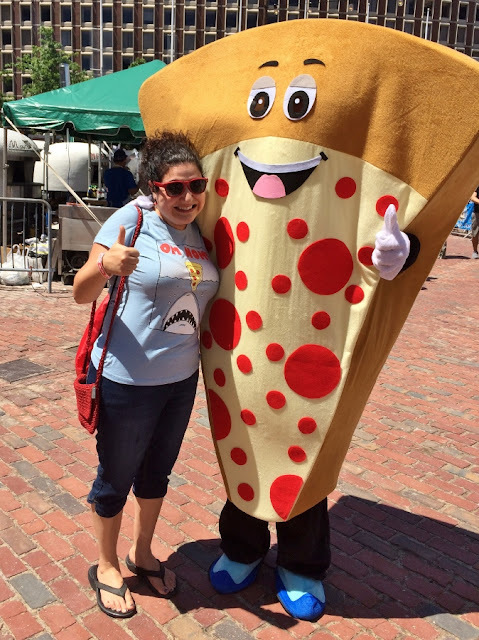 All in all, I personally have no complaints about my time at the Boston Pizza Festival. We loved sampling the very generously sized samples of pizzas from a variety of pizza vendors, and also really enjoyed the added extras like early admission, a gift bag, and other fun treats like gelato and cannoli to wash down all that pizza!